Washington County is a major hub for blueberry farming and commercial fishing in Maine, but it is also the state’s poorest county. Axiom Technologies proposes a sustainable broadband adoption project that intends to provide broadband education, training, access, equipment, and support to community-serving institutions and economically vulnerable populations in the county. 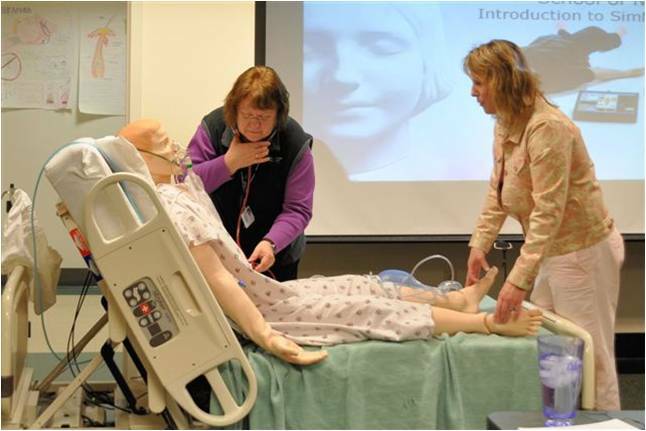 In addition, to address a healthcare worker shortage in the area, the project proposes to expand distance learning for healthcare professionals in partnership with the Central Maine Medical Center College of Nursing and Health Professions, with the goal of expanding the pool of local residents with associate degrees in nursing. The project also intends to equip ten local farmers and ten local fishermen with wireless equipment and a rugged laptop as a pilot project to help local industries utilize broadband technology in the field and for small business and economic development purposes. Axiom Technologies offered sustainable broadband adoption programs to increase the utilization of technology in the fishing and farming industries in Washington County, Maine. Washington County is a major blueberry crop producer and is home to 23 percent of Maine’s small and medium-sized commercial fishing and marine harvesting operations, many of which are small, socioeconomically disadvantaged businesses. Some of the farmers and fishermen who attended Axiom’s training classes had never used a computer, but learned to design websites, develop spreadsheets, and use office productivity software to improve operations and sales. Axiom also provided an entrepreneurship coach to help these small business owners identify skills and software to solve their business needs and acquire appropriate training. Additionally, Axiom Technologies built new applications that helped improve the use of land and water resources and increased business knowledge and productivity software for economic development purposes. They developed and introduced MAPOnline, a data entry program that helped farmers and fishermen record statistical data from their business activities. Through June 2013, Axiom Techologies had recorded more than 400 new household subscribers and more than 60 business or community anchor institution subscribers.